Accommodates BGA, LGA, QFN, QFP, SOP and custom packages. Incorporate our 2300 series high speed compression mount pogo pin socket into your next test adapter design. Custom, full turn key adapter designs available upon request. ISI 4300 series sockets provide quick loading and unloading for high volume testing. 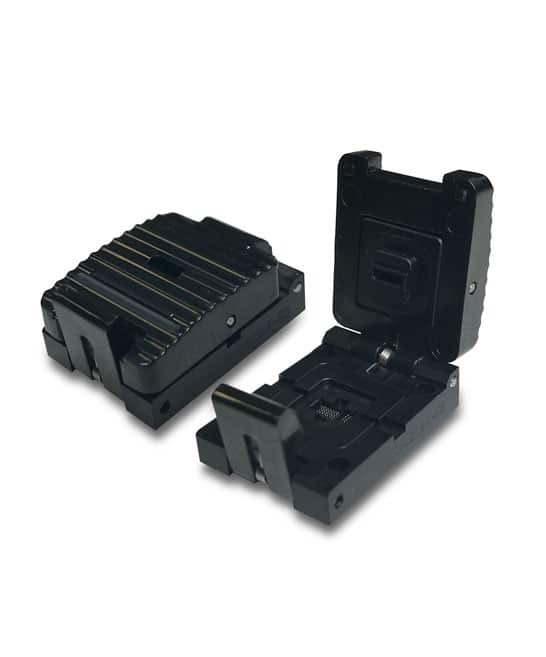 These sockets can be designed with our Raised SMT adapters to work with existing PCB’s. Tight on space? ISI’s 2300 series Raised Surface Mount sockets can give you the clearance you need. 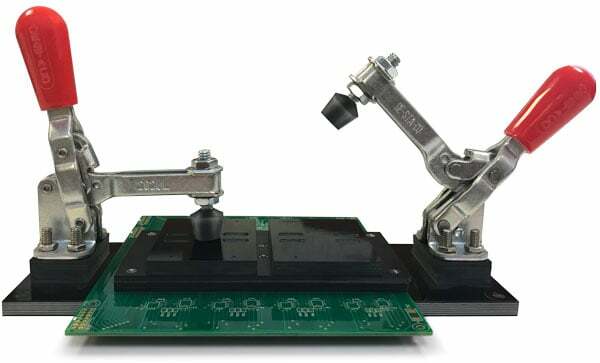 Get up and over those surrounding components with our raised SMT adapter. Raised SMT adapters and sockets can be custom routed to avoid any obstruction your test board may present. The possibilities are endless with design and manufacturing assistance from ISI. Incorporate IC technology with memory and FPGA acceleration onto one small package. ISI has the ability to design and manufacture miniature systems that work in a number of applications in a wide variety of industries. 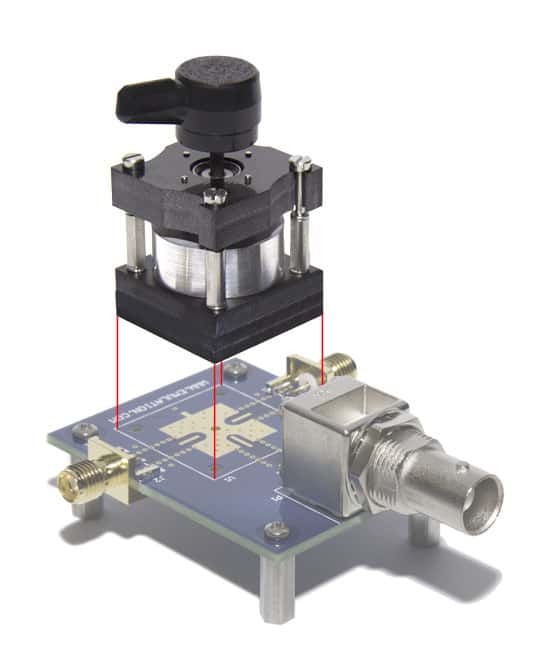 ISI 5100 series toggle clamp test fixtures provide a fully customizable solution for high volume testing. 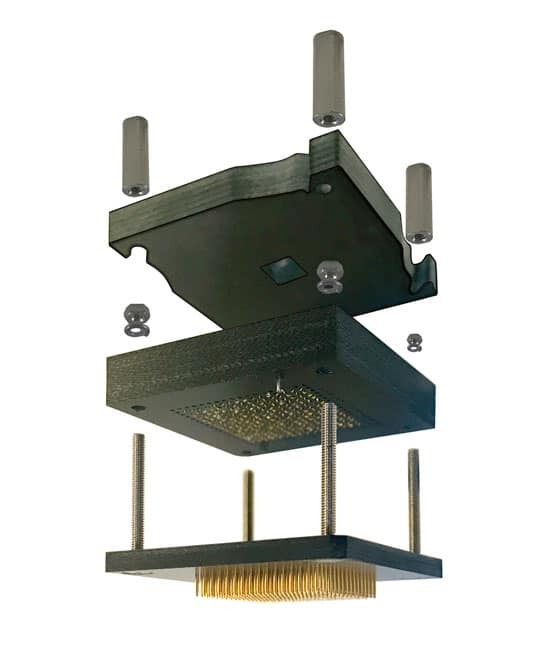 These fixtures allow you to test multiple devices at once saving you time and money.